Extra Perk – If you have multiple Amazon accounts then you can potentially earn around $72 a year, entirely passive with at least two accounts. If you shop a lot, then you must know about Ebates. It’s the most popular cashback website around. Getting a cashback is the biggest plus when you shop. Ebates has the biggest number of retailers and offers a lot of cashback coupons, which makes it even more exciting. You just need to sign up and click through to the store you want to shop from. Once your purchase is done, your cashback will be credited to your account. Extra Perk – You can combine the cashback offer and coupons to double dip the discounts offered by stores and get money back on your purchase. Another cashback app which is more geared towards your grocery shopping. This is the shopping we do almost every day, here and there. This app gives a great way to earn cash back on a lot of everyday items. You need to download the app and check out the cashback offers. After you are done with your shopping, just take a photo of your receipts or scan the barcodes and your cashback will be credited to your account. Extra Perk – Ibotta also offers travel cashbacks and other retail discounts. If you are planning to travel then it is worth taking a look at the offers. This is relatively a new way to save and earn money while you shop. Wikibuy is a browser extension for Chrome, where it gives you a better price for the products you are buying, saving you a lot of money. It also gives you the best coupon codes in real time. Money saved is money earned, right?! You can sign up for it and download the extension. This app has some great reviews, and it can save you a lot of time while shopping. Extra Perk – Once you shop through Wikibuy, it takes care of all the transactions and disputes. That’s the most promising feature of this app. This new app gives you the flexibility to shop at your regular shopping places and gives you rewards points. Once you download the app, you need to choose five of your regular and favorite stores and connect your credit cards. Don’t worry your details are never shared. As you shop at your favorite stores, you earn points and eventually, you can redeem them for gift cards. 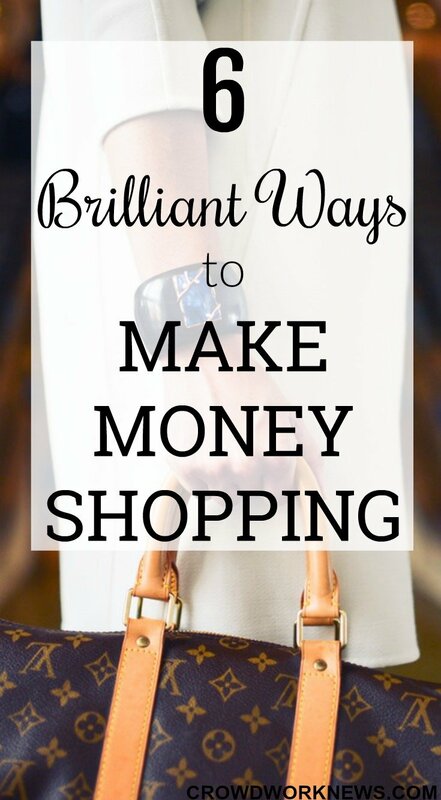 This is a great way to shop at your usual stores and make extra income. Extra Perk – This app can be used with other coupons codes, making it more lucrative. If you get a ‘kick’ out of shopping, then you need Shopkick. This app will let you earn money in the form of gift cards with ‘kicks.’ It is quite flexible and you can earn in many ways like just by walking into the store, scanning items, shopping, connecting your card, etc. You need to download the app and pick the reward you want to get. This will show you how many kicks you need to get that reward. Extra Perk – You can refer friends to earn more kicks. They have a huge referral bonus to get your friends on board. I tend to avoid shopping, but if I can earn some extra cash for the things I usually buy, then it is okay to shop. Check out these money making apps and start using them to save and earn money while you do your shopping. No need to feel guilty anymore!